Hey Guys! You've landed on Broken Arrow USA Did you know the factory ships out free all over America twice everyday. See USA Home Page here. "People are excited to order in the queue... this works!!!!". 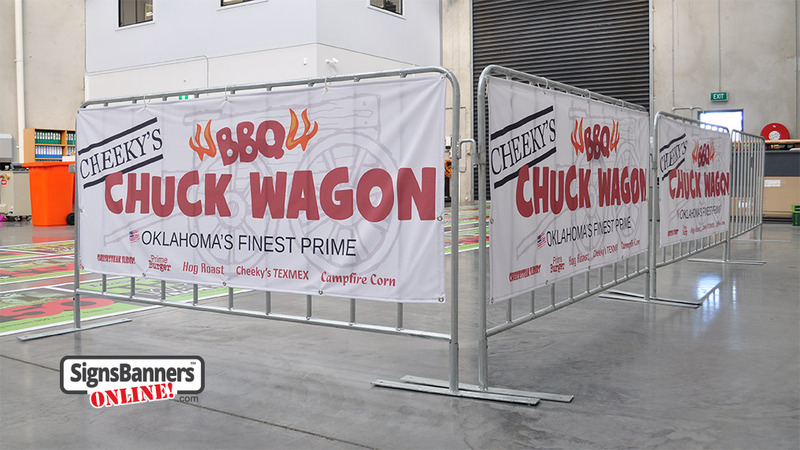 Spread these along your 6 ft, 8 ft or portable section away barriers for best coverage. 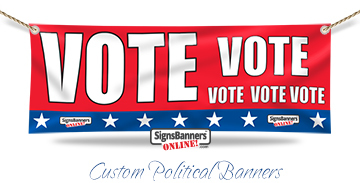 Set of printed banner signs showing the printing capability and artistic example that custom banner signage gives. 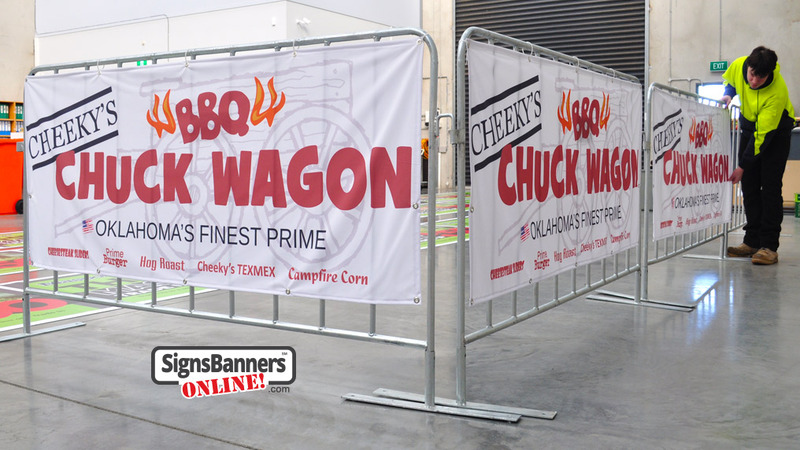 The chuck wagon in the background, big bold text and small food logos invite the reader very well. 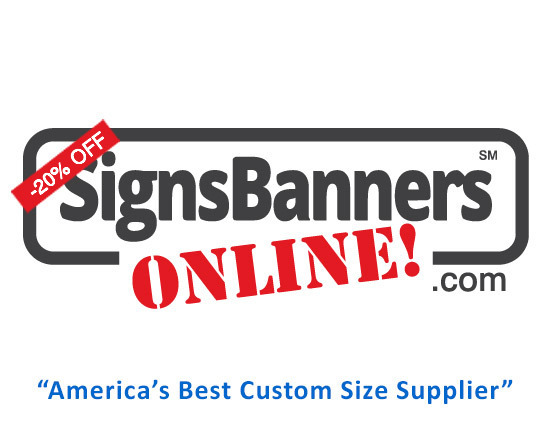 This example shows many features that Signs Banners Online give their Oklahoma customers. "With these banners, they know they are in the queue for something special!" "Copies and sign centers use this service for their larger output sizes." Holding a political event?, need to promote entrance?, venue's?, foyer or gain attendance? We make the political banner for this purpose.